We supply gloves, rakes, bags, water and refreshments. You bring a desire to help out with a worthwhile project. For further information contact us at info@jcbapgh.org. The JCBA has many volunteer opportunities for individuals and groups who take pride in doing the ultimate Mitzva. If you are interested in volunteering on Mitzva Day, scheduling a specific day for your group or organization, interested in a community service or scout program or to attend our annual unveiling ceremonies please contact us. Special thanks to Ralph Schugar Chapel for so generously providing for JCBA funerals and to Urbach Memorials for providing headstones for our burials. Thank you also to Robert Garvin, Esq. for his legal help and to The Greater Pittsburgh Rabbinical Association. Special thanks to the Jewish Federation of Greater Pittsburgh for its continued support of our efforts. 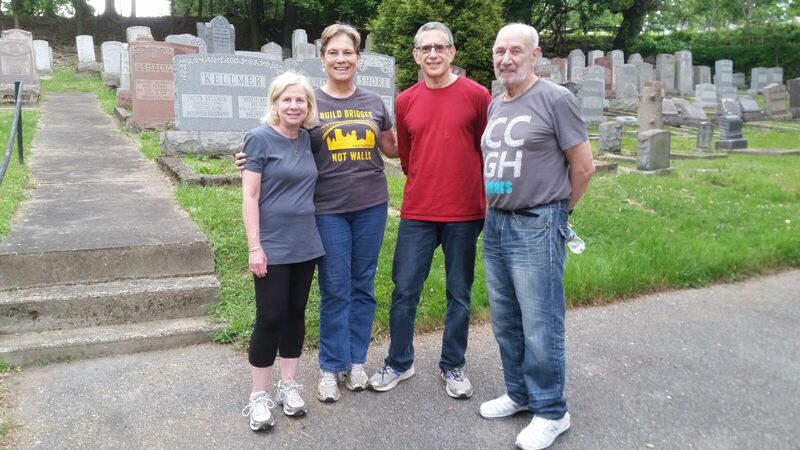 Copyright © 2017 Jewish Cemetery and Burial Association of Greater Pittsburgh. All rights reserved.